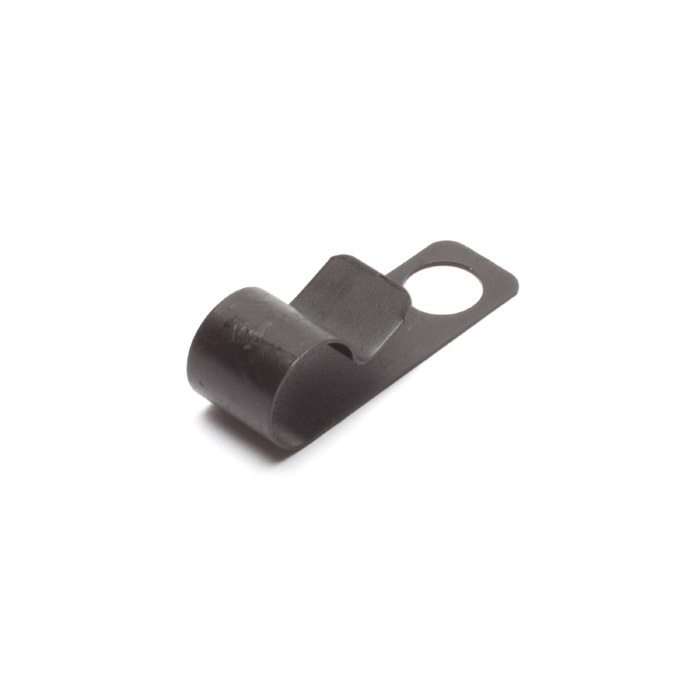 Retainer clip for speedometer and accelerator cables. Made in Great Britain. FITS: Speedometer cable retainer Series II-III 1959 - 1984 all models & Defender accelerator cable 1983-1991 all models. NOTE : For integral rubber insulator use RNC672, or PLC672.